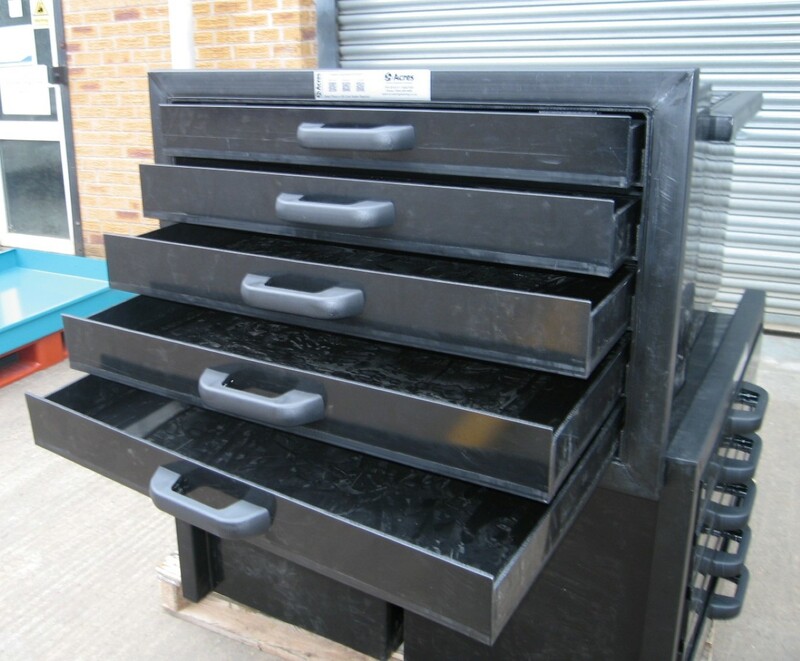 The drawer unit is manufactured from heavy duty 6mm HD Polyethylene. It has been fitted with framework made from 40mm x 40mm x 4mm HDPE box section. This is in accordance with customer requirements allowing the unit to be mounted onto an A frame. The unit features 5 off drawers also made from HDPE. Each drawer is fitted with plastic D handles.